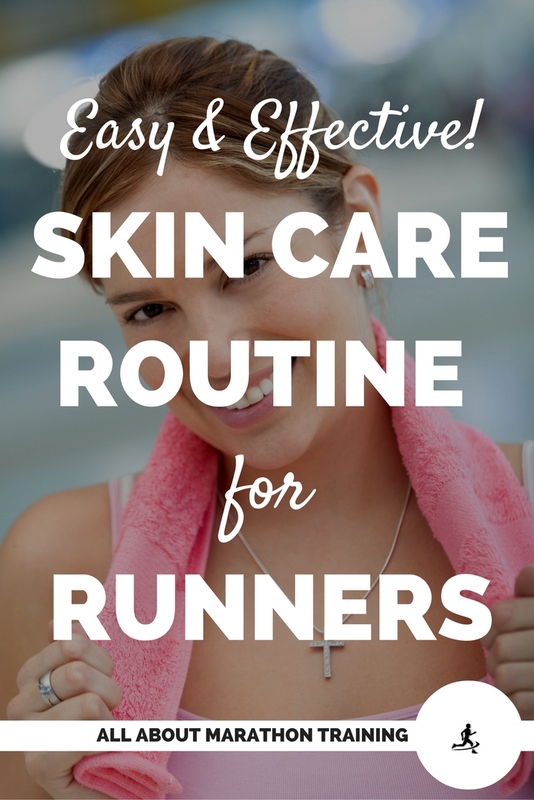 Skin Care Routine For Runners: An Easy & Effective Approach! An easy (& effective!) skin care routine is a must for long distance runners. As runners, we are exposed to a lot of elements constantly and for long periods of time. We encounter wind, rain, sun, heat, humidity, etc.! All of that can leave our skin and hair feeling gritty, dry, and lackluster. Some athletes end up with a dry, leathery, worn-out appearance due to being constantly outside.Now a little sunshine is always a good thing but as with anything there is always too much of a good thing. Here are a couple of quick, easy, and fast natural beauty tips that you can use to keep yourself looking as young and healthy as all of that running makes you feel! Choose one night a week to exfoliate - expel all of those dead, dried out skin cells! With all of the sweat build-up and sun that you are most likely getting, exfoliating will help to wipe that all away and rejuvenate your skin while allowing new skin to grow. That equals a brighter, more vibrant complexion, and a healthier glow. I really, really, really recommend the PMD (personal microdermabrasion) tool! It really does make such a difference in how your skin looks, feels, and ages! It also gives you the results of a professional microdermabrasion treatment but at a fraction of the cost! You only are supposed to use it once a week but it will dramatically change up your skin game for the rest of the week. Your lotion and makeup will go on 100% smoother and even without makeup you will just have such a healthy glow from using it. I really do hate feeling like I HAVE to do something every day so these are just some simple practices that will go a long way and that hopefully you can just turn into habits. Put on SPF in the morning. I really love the Aveeno tinted moisturizer with SPF because it has enough spf, it moisturizes your skin, and it is tinted so when I wear I don't really need to wear any foundation. How's that for multitasking?! Wash your face after every run and before bed. I really like using my Clarisonic Mia 1. With a little squirt of facial soap and 1 minute it will get deep down into those pores and pull out all of that dirt and sweat build up from being out on the roads. Moisturize! All of the wind, heat, and humidity can really dry your skin out. After washing your face just quickly dab on some moisturize to add some hydration back into your skin. This collagen elastin moisturizer will last you forever and will help build strong, healthy skin. Apply at night especially to get let it really soak in. If you haven't put on any spf this is an obvious must. Being in the sun for really long periods of time is incredibly damaging to your skin so protect yourself! Pull your up and out of your face. If you constantly have hair sweeping across your face you are going to be leaving a lot of sweat and dirt on your skin. Get it all out of your face by using a headband and hairtie. Wear sunglasses. Don't forget to protect your eyes as well. Squinting only promotes wrinkles and UV rays can end up damaging your vision. Get yourself some sunglasses that actually DO PROTECT your eyes and only choose polarized lenses. Wash your face to quickly reduce any buildup or clogged pores. You want to get off any sweat or dirt before it soaks into your face. Moisturize. Moisturization as you can tell really does play a big role in your skin care and can make all of the difference between a dry, leathery look and a smooth, radiant face. Apply some lip balm. How many times do your lips become cracked after a run because they are so dried out? Dry shampoo is your best friend for when you need to continue on with your day. The best dry shampoo ever (IMO) that cuts the grease and gives you volume and texture: Living Proof Perfect Hair Day Dry Shampoo. Worth every penny not to have to wash your hair immediately! If you don't have any sort of skin care routine yet, I would strongly advise just starting with adding in some moisturizer every night before bed, apply SPF in the morning and before your run, and exfoliating at least once a week! Here's to your beauty and health!